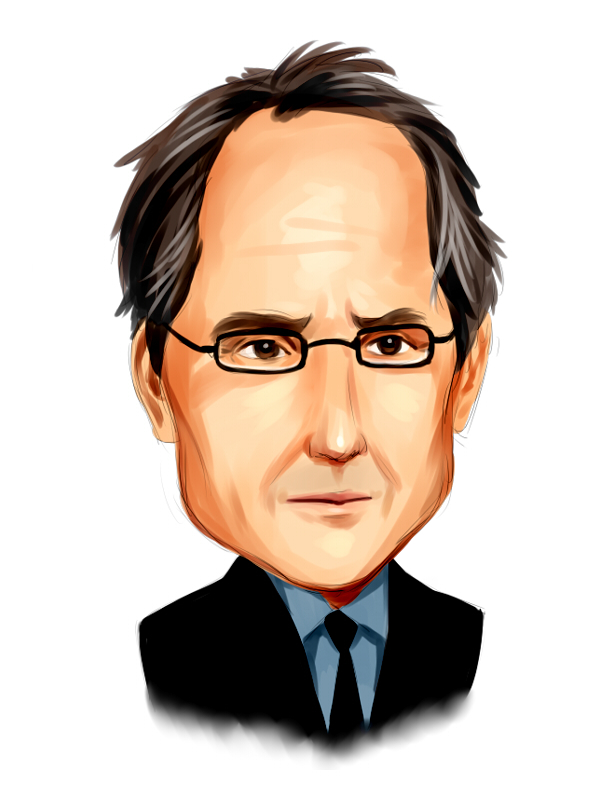 Is Ashland Global Holdings Inc. (ASH) Going to Burn These Hedge Funds? The latest 13F reporting period has come and gone, and Insider Monkey is again at the forefront when it comes to making use of this gold mine of data. We have processed the filings of the more than 700 world-class investment firms that we track and now have access to the collective wisdom contained in these filings, which are based on their September 30 holdings, data that is available nowhere else. Should you consider Ashland Global Holdings Inc. (NYSE:ASH) for your portfolio? We’ll look to this invaluable collective wisdom for the answer. Ashland Global Holdings Inc. (NYSE:ASH) shareholders have witnessed an increase in enthusiasm from smart money of late. ASH was in 32 hedge funds’ portfolios at the end of September. 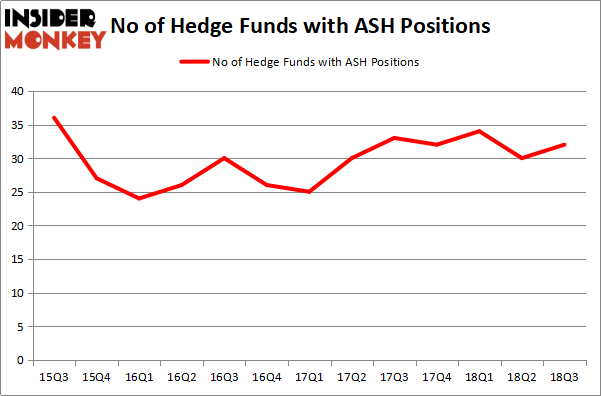 There were 30 hedge funds in our database with ASH positions at the end of the previous quarter. Our calculations also showed that ASH isn’t among the 30 most popular stocks among hedge funds. Let’s take a peek at the key hedge fund action regarding Ashland Global Holdings Inc. (NYSE:ASH). Heading into the fourth quarter of 2018, a total of 32 of the hedge funds tracked by Insider Monkey were long this stock, a change of 7% from the previous quarter. Below, you can check out the change in hedge fund sentiment towards ASH over the last 13 quarters. With the smart money’s sentiment swirling, there exists a select group of key hedge fund managers who were increasing their holdings significantly (or already accumulated large positions). Among these funds, Luminus Management held the most valuable stake in Ashland Global Holdings Inc. (NYSE:ASH), which was worth $222.5 million at the end of the third quarter. On the second spot was OZ Management which amassed $188.9 million worth of shares. Moreover, D E Shaw, Cruiser Capital Advisors, and Omega Advisors were also bullish on Ashland Global Holdings Inc. (NYSE:ASH), allocating a large percentage of their portfolios to this stock. With a general bullishness amongst the heavyweights, specific money managers have been driving this bullishness. Empyrean Capital Partners, managed by Michael A. Price and Amos Meron, initiated the biggest position in Ashland Global Holdings Inc. (NYSE:ASH). Empyrean Capital Partners had $62.7 million invested in the company at the end of the quarter. Isaac Corre’s Governors Lane also made a $55 million investment in the stock during the quarter. The other funds with new positions in the stock are Zach Schreiber’s Point State Capital, Matthew Hulsizer’s PEAK6 Capital Management, and Steve Cohen’s Point72 Asset Management. Let’s check out hedge fund activity in other stocks – not necessarily in the same industry as Ashland Global Holdings Inc. (NYSE:ASH) but similarly valued. We will take a look at Cypress Semiconductor Corporation (NASDAQ:CY), Popular Inc (NASDAQ:BPOP), Bruker Corporation (NASDAQ:BRKR), and Inogen Inc (NASDAQ:INGN). This group of stocks’ market values match ASH’s market value. As you can see these stocks had an average of 24.25 hedge funds with bullish positions and the average amount invested in these stocks was $370.46 billion. That figure was $1.20 billion in ASH’s case. Popular Inc (NASDAQ:BPOP) is the most popular stock in this table. On the other hand Inogen Inc (NASDAQ:INGN) is the least popular one with only 21 bullish hedge fund positions. Compared to these stocks Ashland Global Holdings Inc. (NYSE:ASH) is more popular among hedge funds. Considering that hedge funds are fond of this stock in relation to its market cap peers, it may be a good idea to analyze it in detail and potentially include it in your portfolio. Is Mohawk Industries, Inc. (MHK) Going to Burn These Hedge Funds? Billionaire Leon Cooperman’s New Stock Picks Simcoe Capital Management’s Returns, AUM and Holdings Here is What Hedge Funds Think About Movado Group, Inc (MOV) HMI Capital’s Returns, AUM and Holdings Is MGM Resorts International (MGM) A Good Stock To Buy?